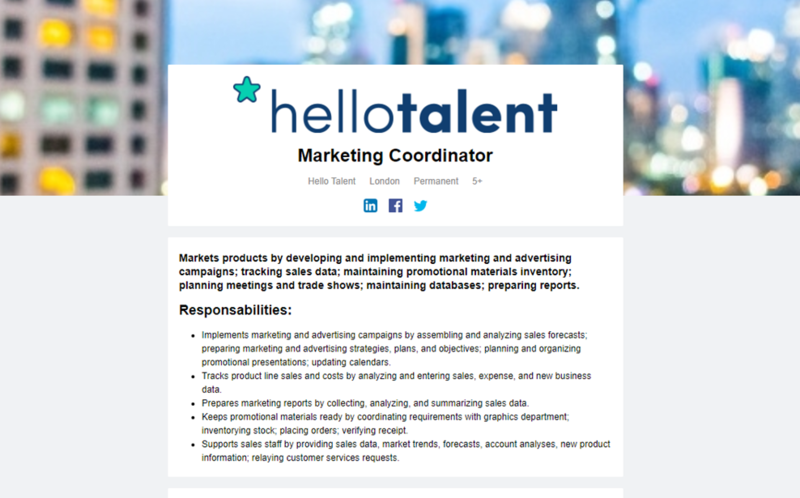 Use our job post feature to create a branded web page to host your application forms. 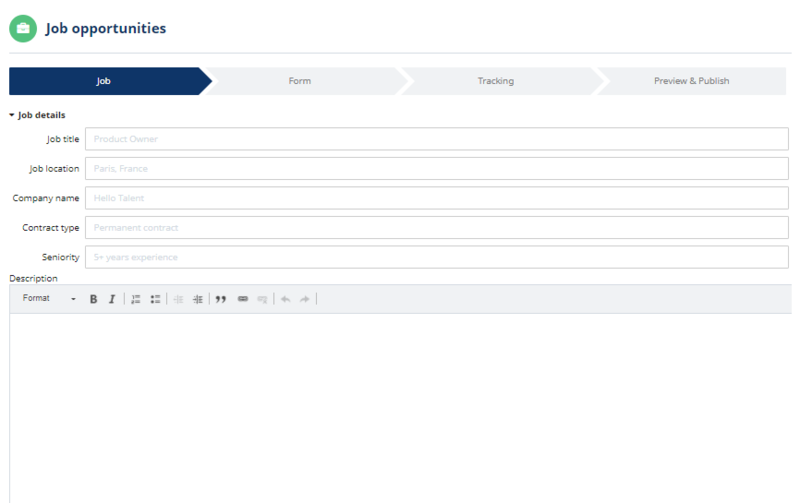 This will allow people to submit their profiles directly to your talent pools. To create a job post click "Add job opportunity"
Then click "Create a job post"
Then fill in the open fields (the text is fully customizable). You can also add a logo, a background image, and a custom footer. Once you finish this you'll be presented with a web address (called a URL) where this job post will be hosted. Before it can be published you'll need to select the application form you want to associate with the page. You'll also have to activate the page to ensure people can submit their profiles through it. 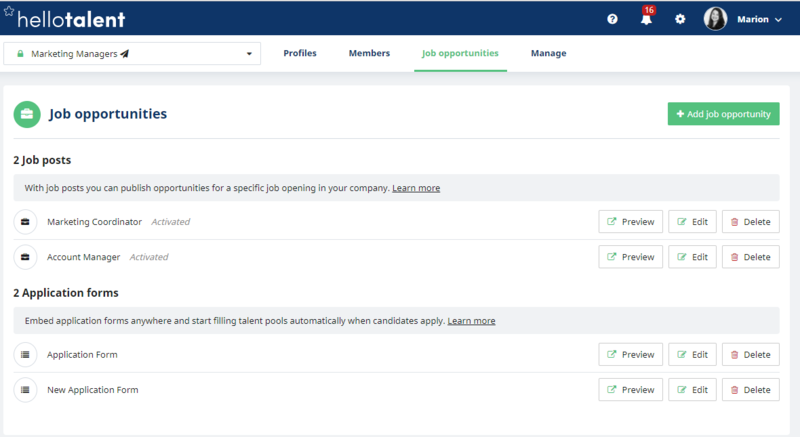 Once you've saved your updates the page will be live and you'll be able to have people apply for jobs!